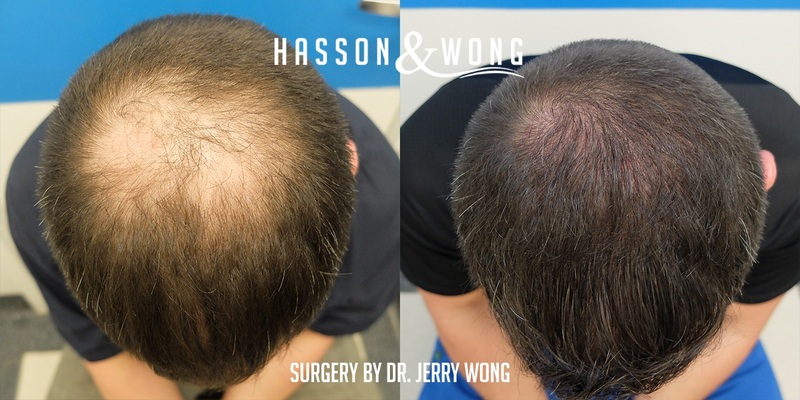 Hasson and Wong FUE hair transplant, Vancouver Canada. FUE stands for follicular unit extraction. 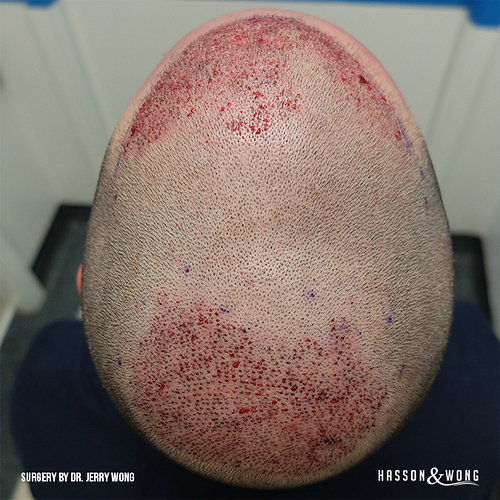 The main selling points of FUE are no wide linear strip scar, less invasive surgery and relatively faster healing time than traditional strip technique. 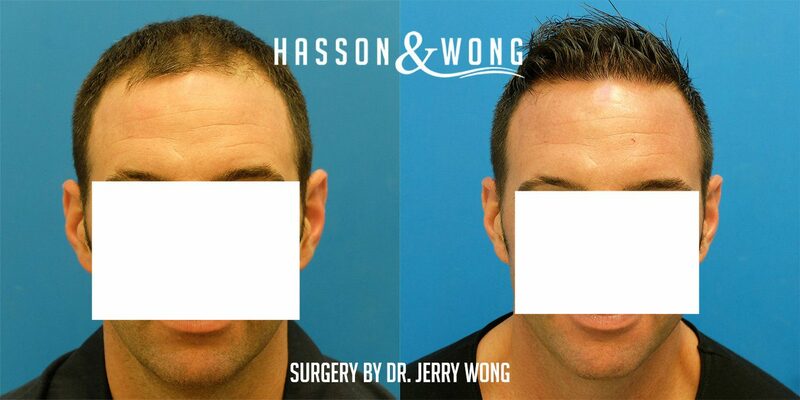 The before and after photos below are perfect example showing Hasson and Wong’s FUE results are just as remarkable as their highly acclaimed strip FUT results. One of the most frequently asked questions about FUE is how clean is the patient’s donor site. An inexperienced FUE doctor may tend to leave a somewhat chewed up donor site with visible tiny white dots all over. But as you can see from the photos below, Dr. Wong’s FUE skills are top notch leaving this patient with a near flawless pristine donor site. 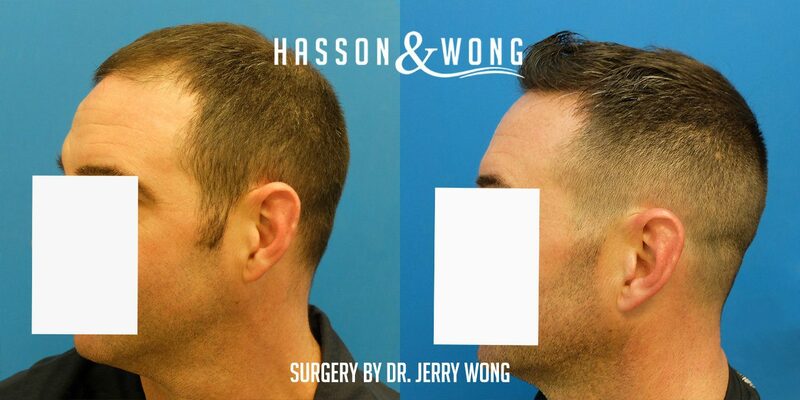 Hasson and Wong has been an anchor on HairSite for well over 10 years. One of the very few sponsoring clinics on HairSite that has been able to produce consistent results over such an extended period of time. 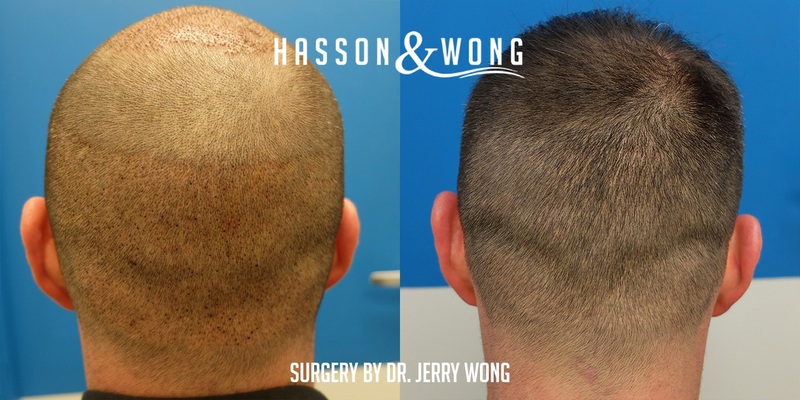 Contact info@hassonandwong.com or visit www.hassonandwong.com to find out free of charge if you are a good candidate for FUE or Strip FUT hair transplant procedure, treatment details and approximate cost. Hasson and Wong also offers in person evaluation in multiple cities worldwide. 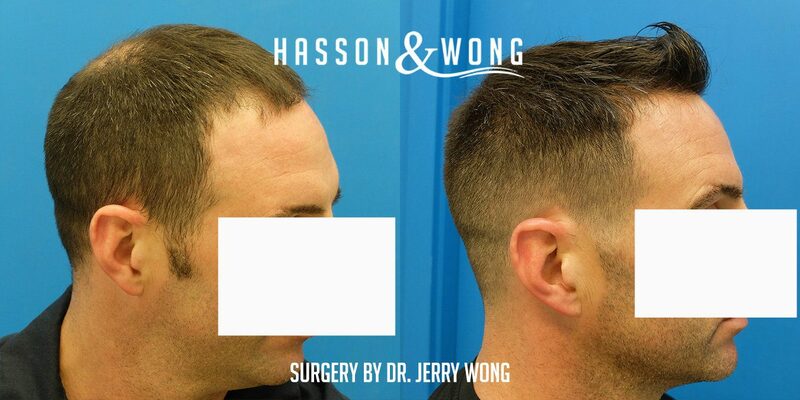 Check Hasson and Wong FREE consultation to find out when is the next in person consultation event at a city near you. Wow… incredible coverage for the amount of grafts… do you have any pics of placement of the grafts in the front third? thanks. Finally get to see FUE results from H&W , we have waited long enough. Hard to believe, Hasson & Wong and FUE in the same sentence ! CueBall Bob: I have included a post-op shot which shows both areas of restoration. I agree, impressive result with 2429 grafts. That seems to be the consensus around here, the more experienced doctors all think that a robot cannot replace the human touch when it comes to FUE. There you go, this is from a well respected clinic who had tried ARTAS and decided to do FUE manually in the end. This should end the ARTAS vs manual FUE debate once and for all. How much time elapsed between the procedure and the taking of the after photos? Also, can you provide the actual hair count per graft? I am about 5 months post-op with about the same amount of grafts and my coverage isn’t nearly as good. Correct me if I am wrong but I heard an ARTAS robot cost over $200K, for H&W to tried ARTAS and to abandon it in favor of manual FUE, this speaks volume about H&W 's work and integrity.